With help from NASA’s Kepler planet-hunting spacecraft, astronomers have identified more than 2,000 planets beyond our solar system over the past decade. Now the space agency is sending up a new satellite that promises to be even better at sniffing out alien worlds — with the hope that we may finally be able to find one that harbors extraterrestrial life. 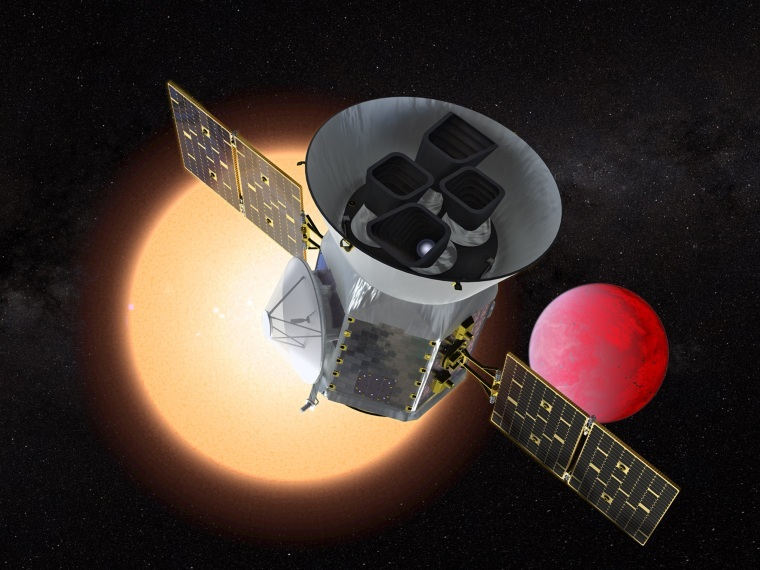 The Transiting Exoplanet Survey Satellite (TESS) is scheduled to lift off from the Cape Canaveral Air Force Station in Florida on Monday, April 16, at 6:32 p.m. EDT. The space probe will study star systems that are 10 to 300 light-years from Earth. That’s relatively close in astronomical terms — and far closer than the stars that Kepler, which launched in 2009, was designed to study. Equipped with four specialized cameras, TESS will be able to gaze at 85 percent of the entire sky, according to Dr. George Ricker, the mission’s principal investigator and a scientist at the MIT Kavli Institute for Astrophysics and Space Research in Cambridge, Massachusetts. The field of view includes about 20 million stars, he said. Like Kepler, TESS will find exoplanets by looking for what astronomers call transits, in which planets’ orbits take them in front of their host stars and temporarily block a portion of the starlight. If TESS observes a periodic dimming of light from a particular star, it’s reasonable to infer that the star is being orbited by at least one alien world. Any newly identified exoplanetary systems will be ripe candidates for follow-up observations by powerful ground-based observatories or future space probes, such as the James Webb Space Telescope, which is scheduled to launch in 2020. Among other things, the Webb telescope is designed to scour the atmospheres of exoplanets to look for chemical signatures of oxygen, carbon dioxide, or methane — which could suggest the presence of life. TESS is designed to operate for two years. The mission will be led jointly by MIT and the Goddard Spaceflight Center.